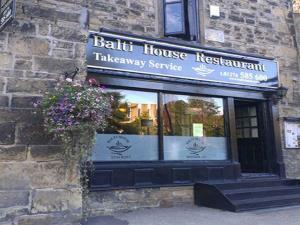 Balti House Indian Restaurant and takeaway Baildon is the home of traditional Punjabi cooking. With 5 star hygiene rating our 17th century cottage restaurant invites you to relax in a pleasant fully air conditioned atmosphere enjoying the finest traditional home cooked balti's. Balti House Indian restaurant allows customers to bring their own alcoholic drinks. With free car parking and the friendliest of service Balti House offers a mouth watering selection of traditionally cooked, authentic Indian dishes, with the emphasis on flavour.